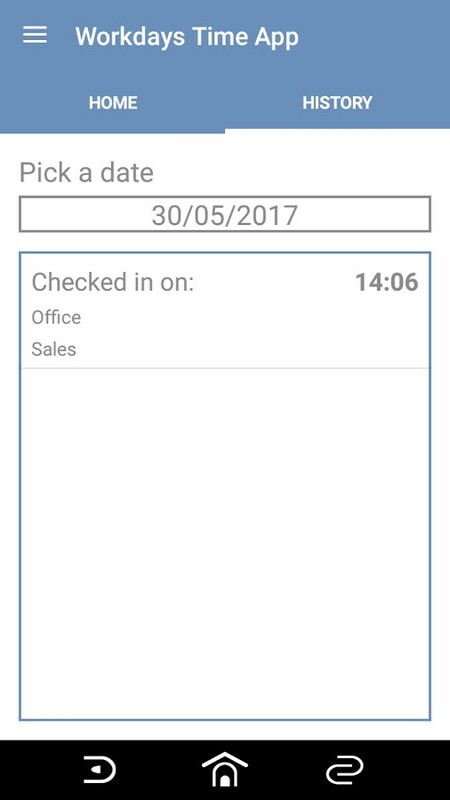 This allows employees to register their hours using the app. Hours can be registered to their location and corresponding activity. This manual explains how to use the app. Website URL: Enter the Leavedays website that you are using. This will be made available by the Leavedays administrator at your company. User name: Fill in the user name that you also use to log into Leavedays on the desktop. Password: Fill in the password that you also use to log into Leavedays on the desktop. Remember me: This option makes sure that you do not have to see this screen every time you open the app, but stay logged into the account you used last. 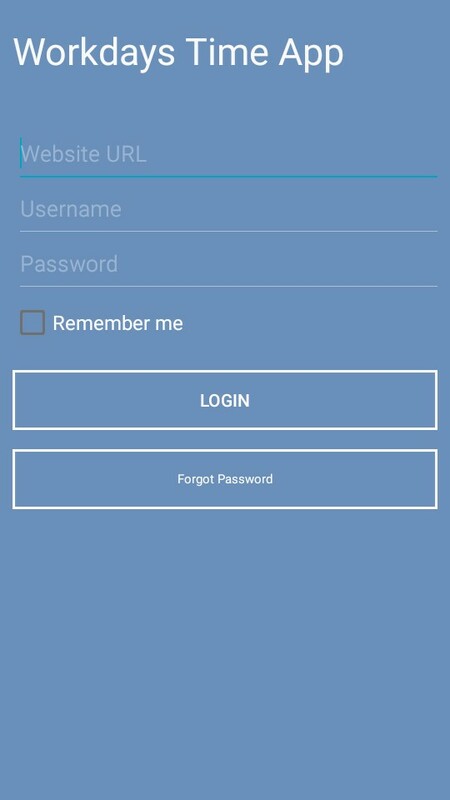 After the app has been downloaded, and the log in details have been entered, the home screen will be shown. At the top of the screen, you will see ‘Home’ and ‘History’. After you have logged in for the first time, you will go to the homepage. The big “CLOCK IN” button is self-evident. 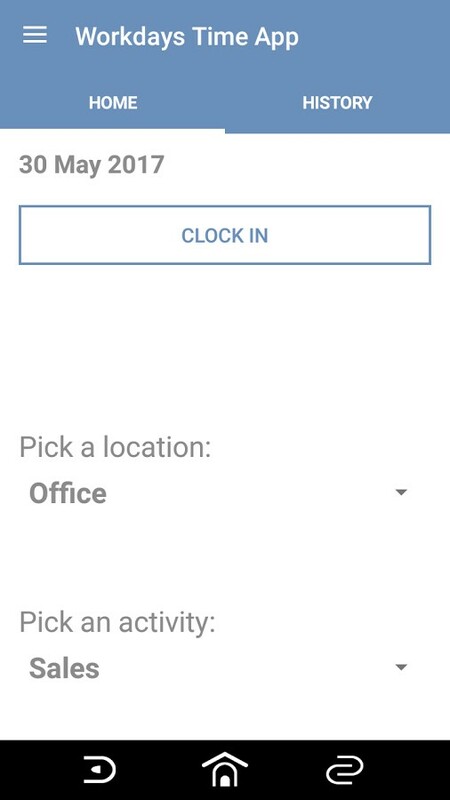 As soon as you select this button, the timer will be started, and your work hours will be registered. When timing, you can also select the location and activity of the work. As soon as the timer has started, you will get a notification that you have clocked in. A green timer will be shown with the time being registered for this activity. In the timer, you can see time you started registering. 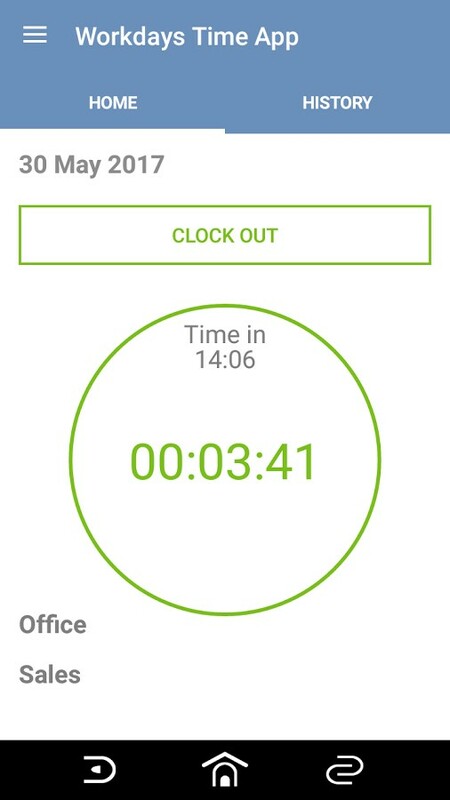 If you then select “CLOCK OUT“, the timer will be stopped, and the time entries can be found in the history of the app, as well as in the desktop environment of Leavedays. To see these entries, go to ‘Time registration’ ⇒ ‘Calendar’ . At the right-hand side of the screen (go here by swiping over the screen, or by selecting the word ‘history’), you can see the history of all your time entries. Thus, you can also view previous time entries.